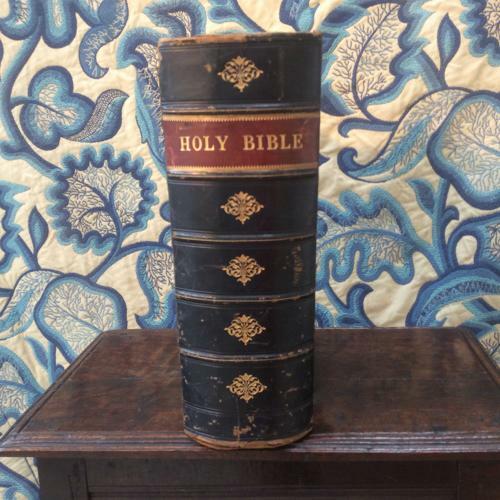 Mid 19th century illustrated family bible, half calf bound with marbled boards, gilt edges, published by Cassell, Petter & Galpin, London, Paris, New York. Illustrated with more than 900 engravings, some in colour. Includes a family register. Slight foxing in places.